components to get an homogenous pastes. As per the above choice, our engineer recommended Zirconia Ceramic Material for this project. 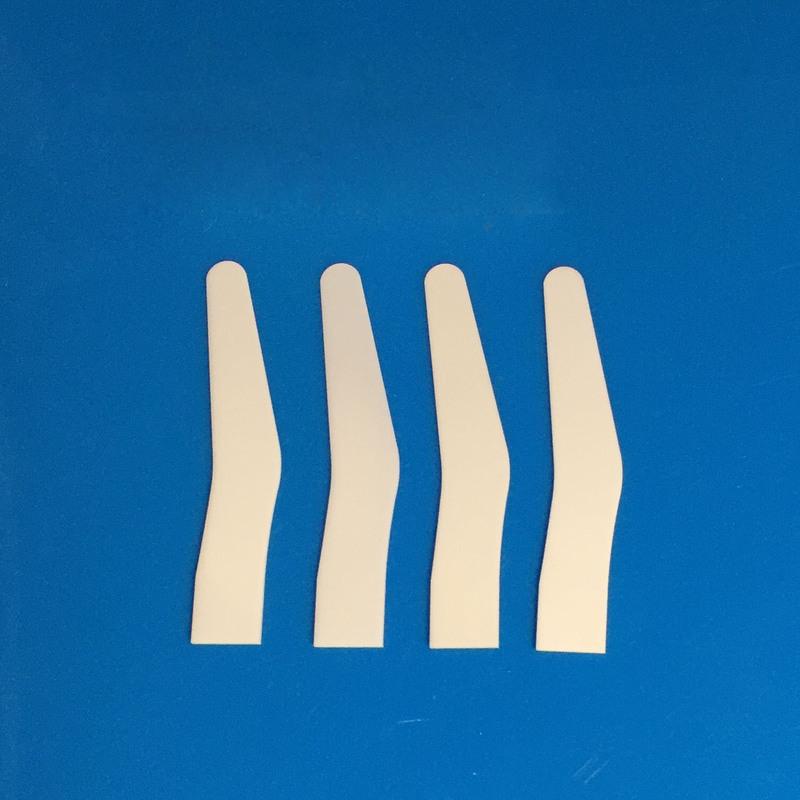 Zirconia ceramic spatula is thickness from 0.3mm to 0.8mm. The zirconia ceramic spatula is used for mixing palette which dental technicians are working with ceramic powders (for making crowns and bridges). Basically the ceramic powder is mixed with distilled water. Use the zirconia ceramic spatula for mixing the ceramic powder and the distilled water, it can get an homogenous pastes. This zirconia plate is entire part of a more complex set of tools. This zirconia spatula had a lot of success on the 2015 biggest dental exhibition(takes place every 2 years in March in Germany). According to the exhibition publicized, hope this zirconia ceramic spatula will be more widely use for the dental industry. Our engineer team will develop various kinds of zirconia or alumina ceramic part for dental industry, if there is any project enquiry please feel free to get in touch Email:sales@innovacera.com.